In a medium bowl, whisk together extra virgin coconut oil, garlic, tarragon vinegar, dried tarragon and pepper. Place tuna steaks into the mixture. Cover and marinate in the refrigerator at least 4 hours. 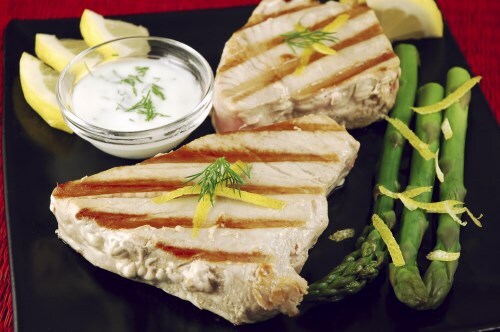 Grill tuna steaks 8 to 10 minutes per side, until the tuna flakes easily and is opaque in the center.